If you don't need or want the sprayer put a note to us in the comments area of the order form. The sprayers are very high quality and can be re-used when you buy Anti Icky Poo. Let's conserve resources! Anti Icky Poo will completely remove all traces of cat urine and it's horrible odor. Anti Icky Poo contains specially bred enzymes and friendly bacteria which literally eat up the urine proteins and gases which caused the odor. Once removed, and with the continual usage of Convivial House Cat, our flower essences or Feliway, your cat will return to the litter box. Cat Faeries is dedicated to helping you to get your cat back in the litter box. To do this you must use the correct products. Its a 3 part process: 1) Anti Icky Poo to thoroughly remove the urine, 2) Convivial House Cat or Feliway which tells the cat "I don't pee here." 3) Flower essences to address the cats emotional triggers for not using their boxes. Other urine cleaning products really only mask or neutralize the odors. That is not enough. And you know this if you've already wasted your time and money. 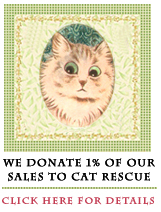 We are very conscious of your pocketbook and your love for your cat so we will not waste your time or money. Anti Icky Poo works so well because it contains specially bred enzymes and friendly bacteria that actually "eat" the urine, as well as its proteins and gases. Once the urine has been eaten it’s gone, therefore the odor is gone. It's that simple. Neutralizing or masking tricks you into thinking the urine is gone because your human nose can’t smell it. But your cat's nose can. And that's why the cat will return to the area to soil it again if you didn't use Anti Icky Poo. One way to test your old product: a hot day the formerly masked urine smell will come back. Use Anti Icky Poo and you'll no longer dread hot days! Our commitment to you: We are obsessed with finding the solutions which really work to stop peeing kitties. We will continue to test every product that claims to get rid of cat urine and its smell. Who knows, maybe one day we'll find something better! Because Anti Icky Poo's enzymes and friendly bacteria are "alive" store in a cool dark place to ensure freshness and highest potency. Use opened bottles within one year. Anti Icky Poo may be used to remove cat urine, cat barf, and even feces. A handout with Cat Faeries precise usage instructions comes with your order. Read the reviews:Anti Icky Poo Reviews on our About Anti Icky Poo page.